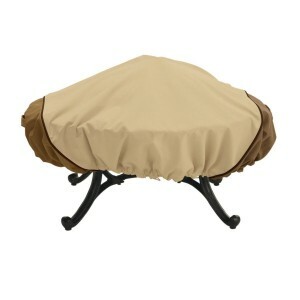 Every fire pit needs a fire pit cover if it is last long. 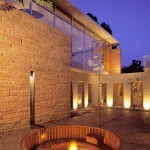 However finding a fire pit cover that is durable and resistant to weather elements can be a very difficult task. 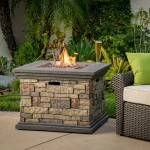 Like any other product, it’s always best to first do your research before buying a fire pit. By research of course I mean go through reviews to see what other customers have to say about the said cover so you know what to expect. It’s also always better to go for the most popular covers because really something popular implies there must be something good with the cover though most probably it will not be perfect. 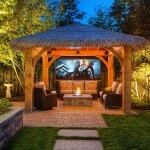 So this article has somewhat simplified the work for you because it lists 5 best selling fire pit covers in amazon as at the date of writing this article with the major pros and cons of the said covers. 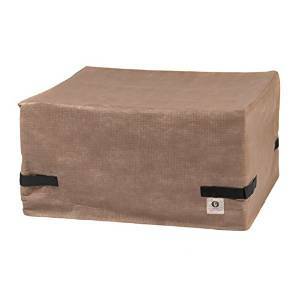 Classic Accessories 58992-EC Terrazzo Fire Pit Cover is a quality made product consisting of fabric that is heavy and tough. 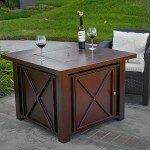 It is made of a canvas for the top while the bottom is made of plastic stitched together. Is it not entirely waterproof even though the manufactures say it is. Also, after a few months of being exposed to moisture, it will start to appear getting moldy on the outside. 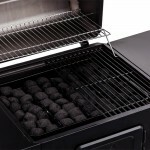 Does not have drawstring &that will allow you to adjust the fire pit cover for a secure and tight fit around your pit. 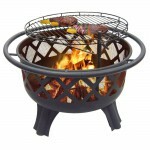 The pictures from the description may be little misleading because fire pit cover is relatively small will therefore not cover any fire pit over 35 inches wide all the way to the to the fire pit legs as shown. So for any fire pit 35 inches and above expect the cover to just fit the diameter and the rest of the way down it will come up short. 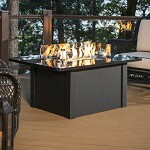 Complete protection for your fire pit: waterproof and weather resistant and it won’t crack in wet or cold weather. 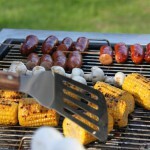 The drawstring & toggle allows you to adjust the fire pit cover for a secure and tight fit around the bowl of your pit. . 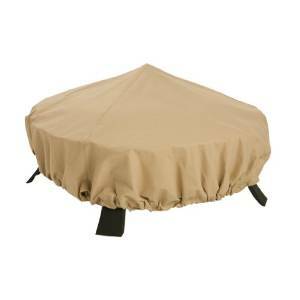 This particular cover is offered in many sizes so you will be sure to find the right size that will fit around your entire fire pit including the rim if there is one. From the many reviews have seen, many customers seem to suggest that the heavy duty version of this cover is much more durable and better resistant to weather elements. You will however need to chuck out an additional $5 for this one. 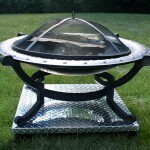 Extremely durable fire pit cover capable of withstanding weather elements well with no rips, tears or pulls and comes highly recommended. The fabric is relatively thick and water proof. Water protection is great when the covers are new but the white plastic like material in the middle overtime degrades and cracks and allows more moisture through the cover. 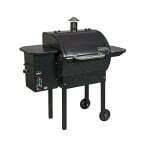 It also fades a bit quickly when exposed to sunlight so spray with some UV protectant before you can start using it. 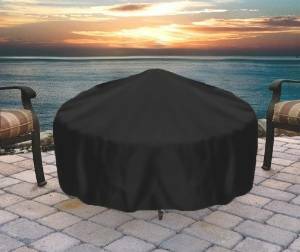 This fire pit cover features an elegant fabric top with a protective water-repellent and resistant laminated backing and a protective dark splash guard skirt. Elastic hem cord with a toggle allows adjustment for a tight and custom fit. 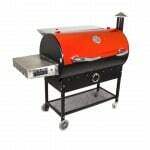 It doesn’t handle sun exposure well so you may need some UV repellent. 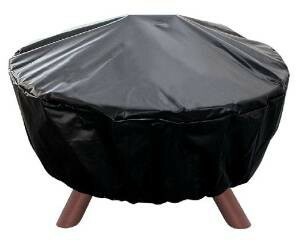 Landmann USA 29300 Big Sky Fire Pit Cover, 30-Inch diameter. 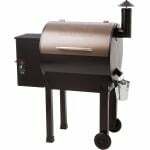 The elasticized material tightly fits the pit bowl, making sure the cover will not be blown by strong winds. Will most likely start ripping at the seams after a few uses. 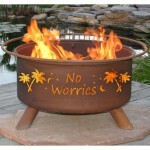 this fire pit cover is not entirely water proof at the seams. This is because, the round top of the cover is attached to its elasticized bottom by a unsealed seam sewn around the circumference of the top. When it rains, this seam leaks as water accumulates at the elasticized cover edge. 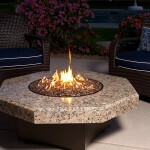 These are the major pros and cons for each fire pit cover but they are also not exhaustive which is why you may need to go through the reviews to see what more is not included here. Price also may have changed. 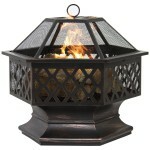 Also, the best seller list may vary from time to but generally you will always find at least 3 of these fire pit covers in the top five list.